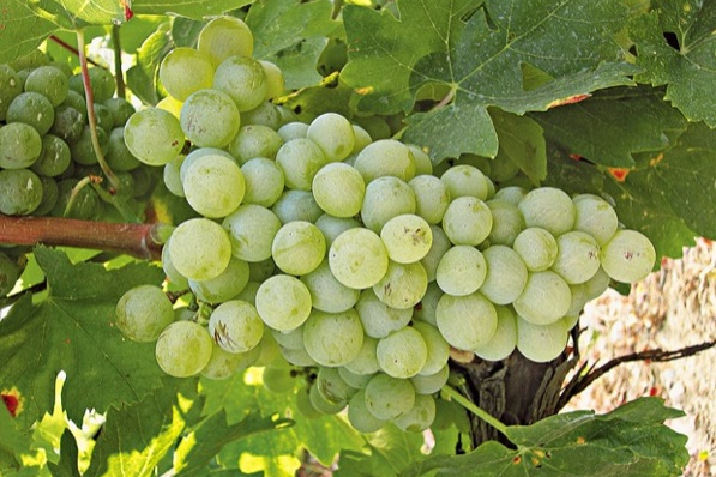 The white grape comes from Greece, Synonyms are Debina Metsovou, Debina Palea, Dempina, Ntempina and Zitsa. She may not with the two Albanian varieties Debina Kala and Debina Teki (although mglw. related) or (because of similar synonym) Tsitska be confused. The vinified wine was praised by the British poet George Gordon Byron alias "Lord Byron" (1788-1824), who participated in the Greek struggle for freedom. The late-ripening vine is prone to Botrytis and sensitive to dryness. It produces tangy, acidic white wines with a typical apple flavor, which are well suited for the production of sparkling wine. The variety is mainly in the regions of Epirus in the appellation Zitsa, on the Peloponnese and in Thessaly cultivated. The acreage in 2010 totaled 239 hectares. This page was last modified at 1 February 2018 at 07:44.